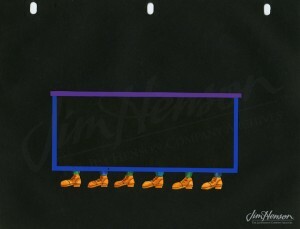 In early June 1969, Jim made an arrangement with Eleanor Willett at Autolycus (a talent, marketing or event planning agency in New York), to create comic relief for the sales team of the Thom McAn shoe company at their annual meeting. The show that he performed over two days helped him to further develop what he started with IBM in the realm of Muppet Meeting Films, laying the groundwork for an array of pieces that would work in any corporate setting. A more involved element featured the presentation of a slide show titled “How To Sell Men’s Shoes To A Woman”. Over images of a store interior with a salesman and a pair of customers (a human, Harold, and his wife, a Muppet monster), Rowlf described the interaction, and the prerecorded voices of the participants demonstrated a successful sales technique. The monster wife, however, was an extremely difficult customer and, in the end, dragged her husband off to Florsheim’s. Rowlf was philosophical, “After all,” he said, “you may have lost a sale but think what Florsheim is about to gain!” Later Rowlf played his flashy electric guitar and showed footage of Kermit, in the guise of the “world’s leading authority on selling fuzzy slippers,” getting harassed by a monster as he imparted his ninety-seven secrets to selling to the crowd. The monster helped him keep it short. Finally, Rowlf finished the show with a customized version of the Stan Freberg song, “Money”. 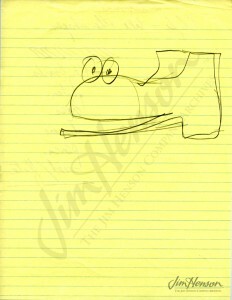 Typically, Jim was making fun of the capitalistic ambitions of the people that hired him. Or, as a dog like Rowlf might put it, biting the hand that fed him. Learn about other Muppet meeting films. 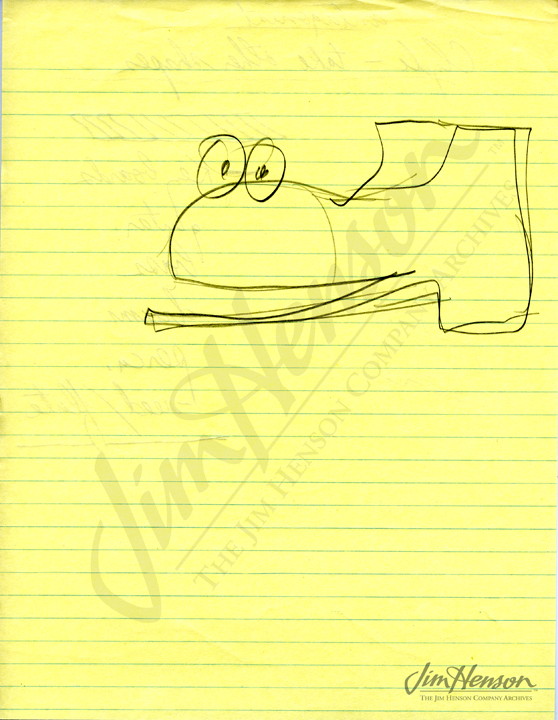 Jim’s idea for a talking shoe puppet, early 1970s. 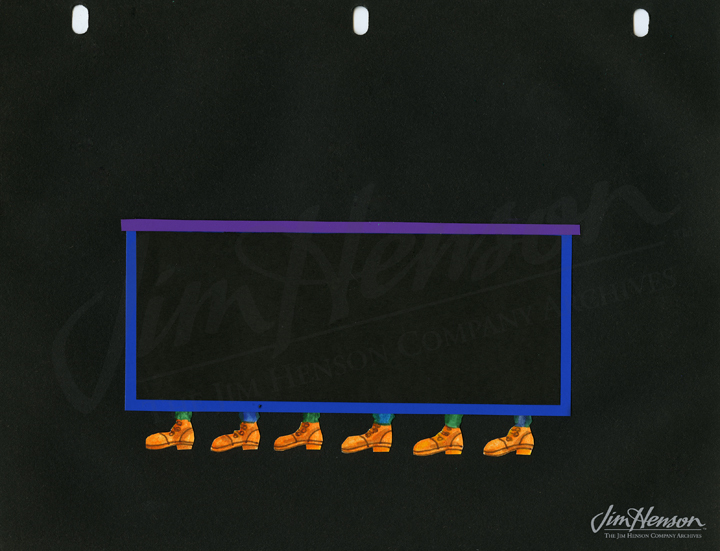 Jim’s Broadway Show idea for dancing shoes, early 1970s. This entry was posted in 06-June '69, 1969, Muppet Meeting Films and tagged Autolycus, Danny Seagren, Eleanor Willett, Eric Jenkins, IBM, Joe Raposo, Massachusettes, Muppet Meeting Films, Rowlf, Roy Fogas, Stan Freberg, Thom McAn, Worcester. Bookmark the permalink.